The Manor House, Fir Tree Grange, is a stunning stone built Grade II listed building. Formerly known as Smelt House. 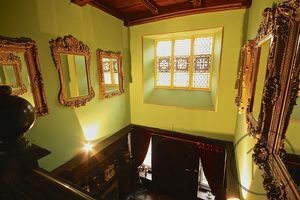 As we understand the original building was constructed around 1511 for the Bowes family, and are lead to believe at this point it was a timber structure. 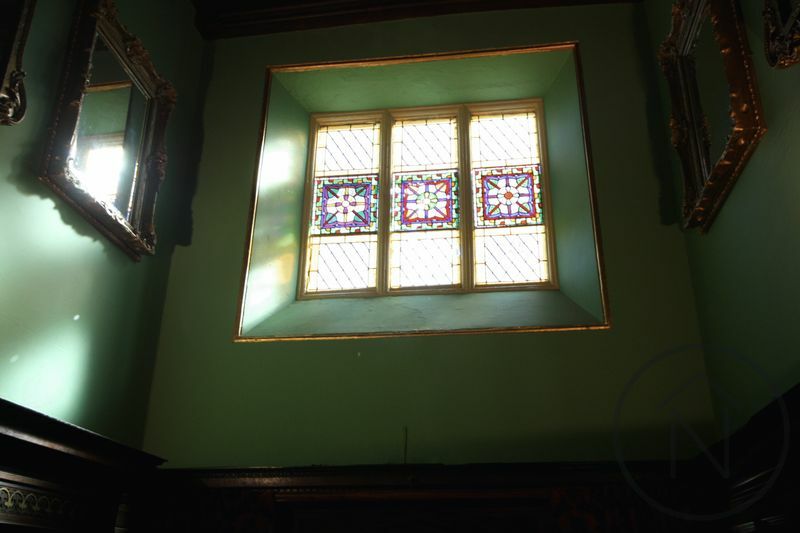 In 1843 it was constructed of stone with an additional wing added in 1847. 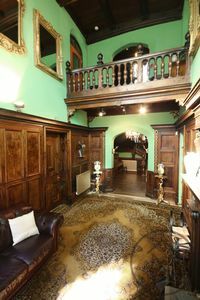 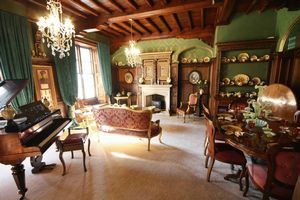 This manorial style house has been renovated to a high standard, Having many original features including panelling, Gothic-style panelled doors, the original close-string dogleg stair has broad ramped grip handrail, with heart pendants and ball finials, and stained glass windows feature in the main hall, and landings. 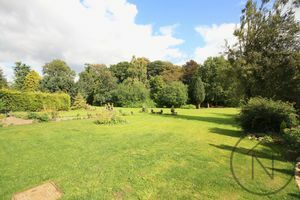 The property itself occupies a substantial site approximately 2.2 acres, included within the grounds a large pond with central island bridge, ample car parking. The property is accessed by a long sweeping private driveway belonging to the property, which is shared by two private dwellings. 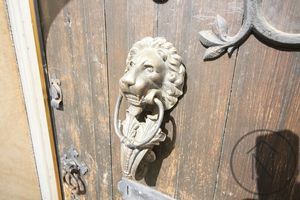 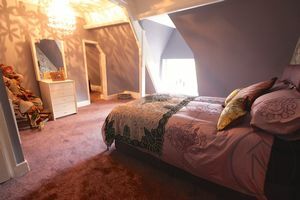 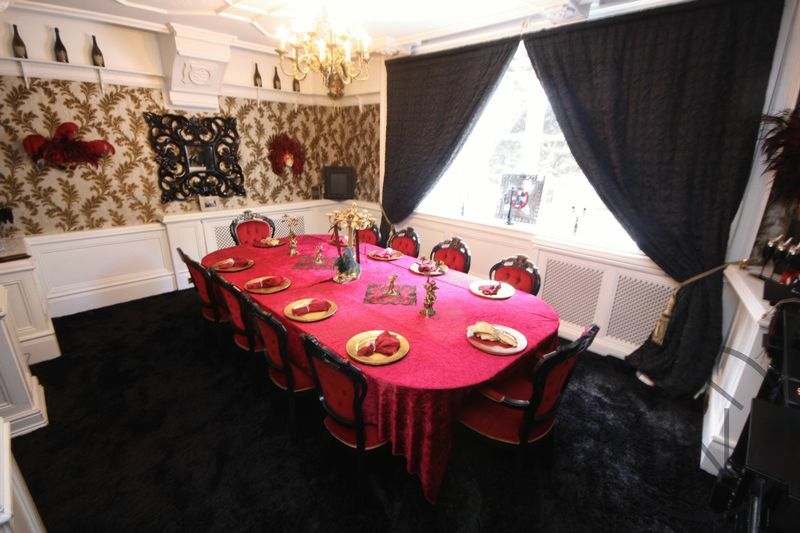 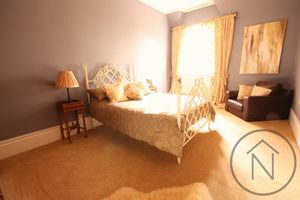 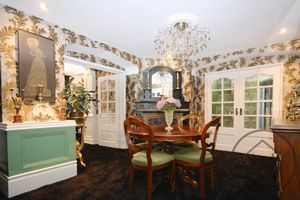 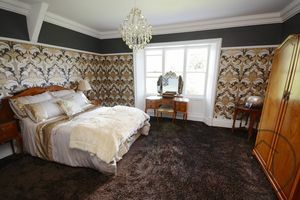 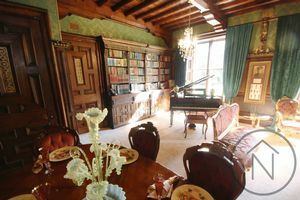 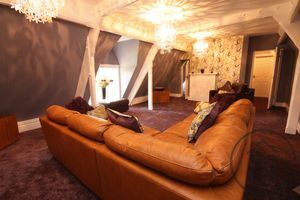 This property could be used as a business and would make an ideal high end of the market B&B or a small boutique hotel. 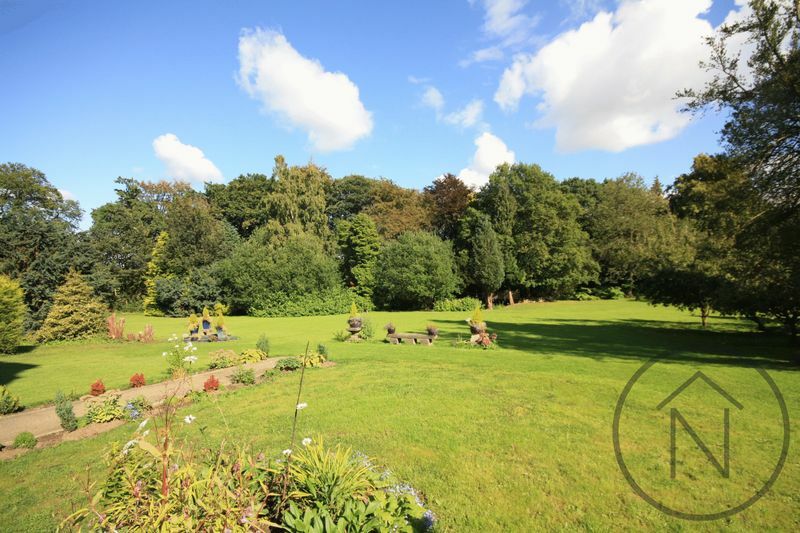 Howden Le Wear is a small village set within open countryside close to the market towns of Crook and Bishop Auckland. It is an ideal location for commuters with Newcastle, Durham, Darlington and only 3.8 miles from the popular Kynren open-air live show. Viewing is strongly recommended and the property must be seen to be fully appreciating the spacious accommodation, Contact Russell Hartshorn to arrange your viewing by calling 01325 728336. 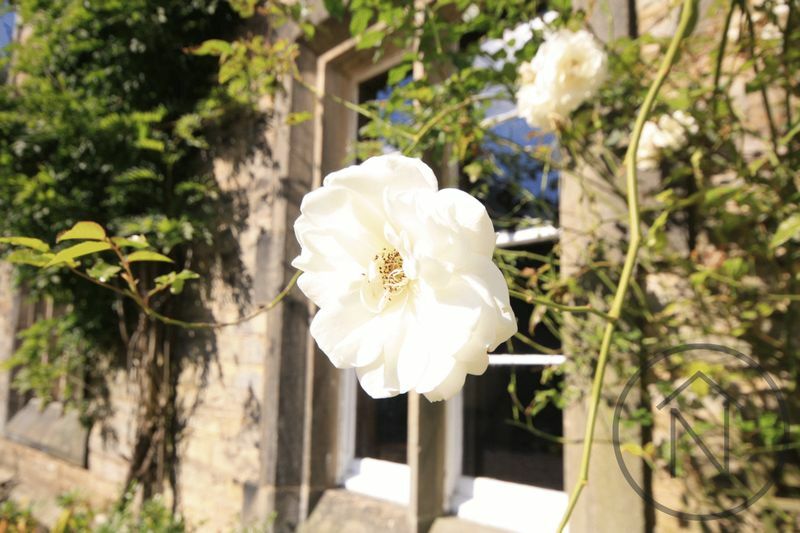 Grade II listed, this stunning property would make a fantastic family home but has the potential of a high end guest house, Boutique hotel or wedding venue. 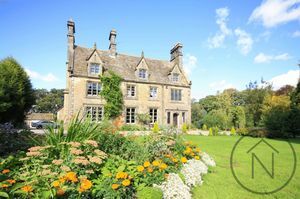 The current owners have hosted extremely successful weddings, charity events, parties and have also been used for filming of TV programs. 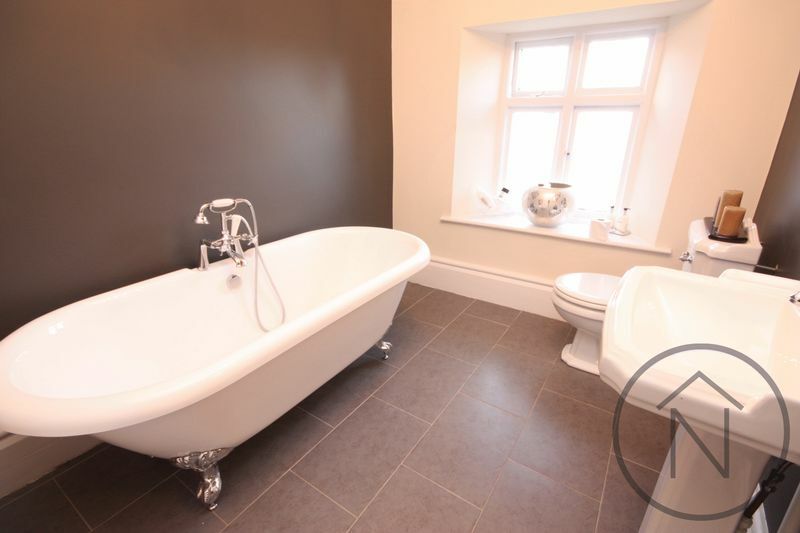 This property setting, history, the original features and finish would make it perfect for one of the above uses. 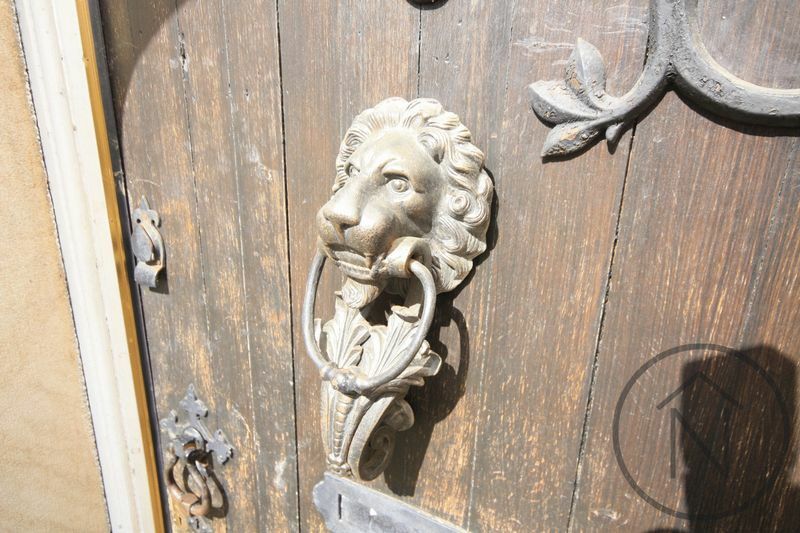 Original ornate time entrance door with wrought iron fittings. 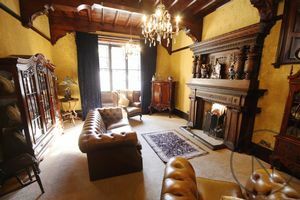 Stone flag flooring with decorative tiled inset, decorative high-quality Jacobean-style chimney pieces with log burner. Timber panelling to the walls, leaded window with window seat. 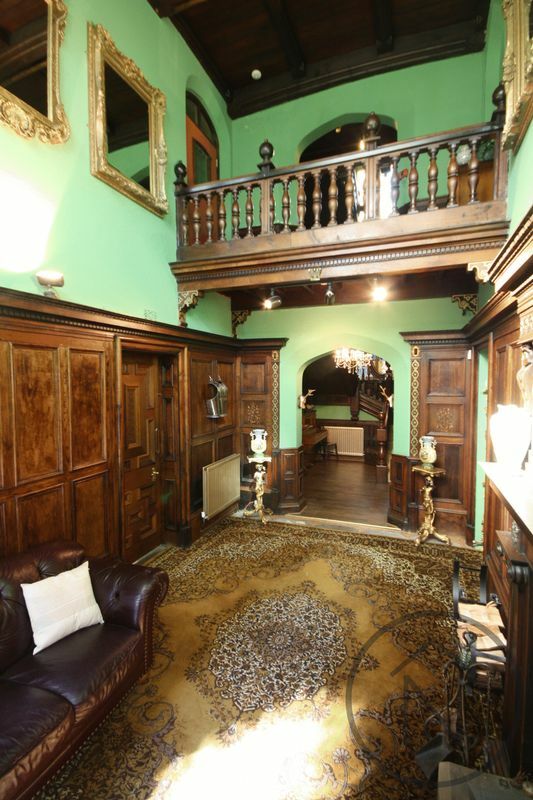 Open through to hallway leading to close-string dogleg stair has broad ramped grip handrail, with heart pendants and ball finials on newels, gallery landing with overview of the main hallway. Access to the rear half of the property with feature stone fireplace, and ornate panelling. 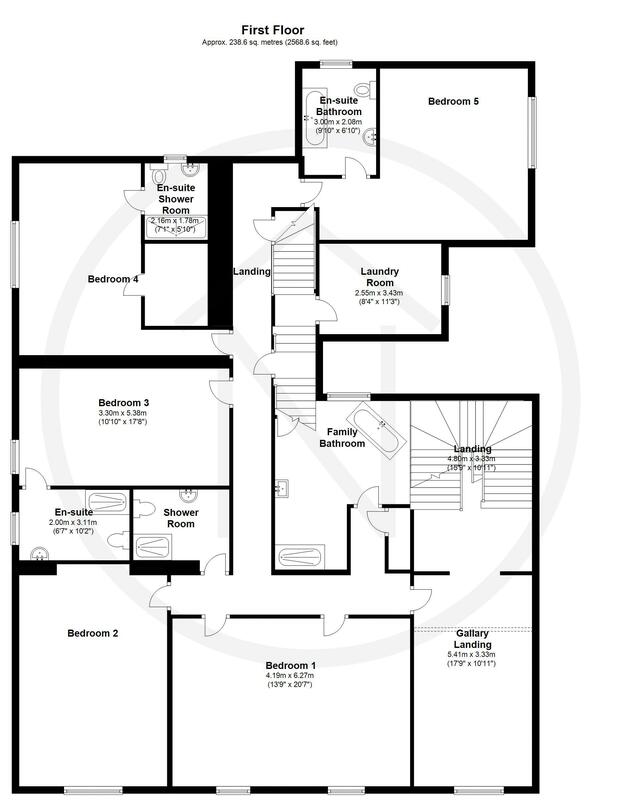 Accessed from the hallway with double timber and glazed doors. Situated to the side of the property with ornate panelling to half height, decorative ceiling decor, timber sash window with window shutters, double central heating radiator, cornice to ceiling, timber fire surround, tiled inset and hearth. Situated to the front of the property with feature Jacobean-style chimney pieces, tiled inset and hearth, ash window with window seat and window shutters, original beamed ceiling, and picture rail. 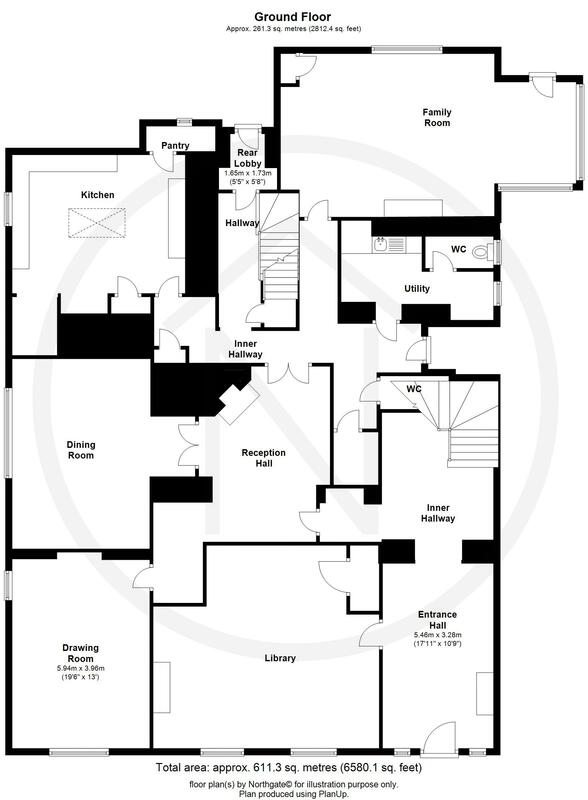 With rear and side entrance doors, additional staircase to the first floor and access to the cellar, and storage cupboard. Low level WC, handwash basin, radiator, and wood laminate flooring. 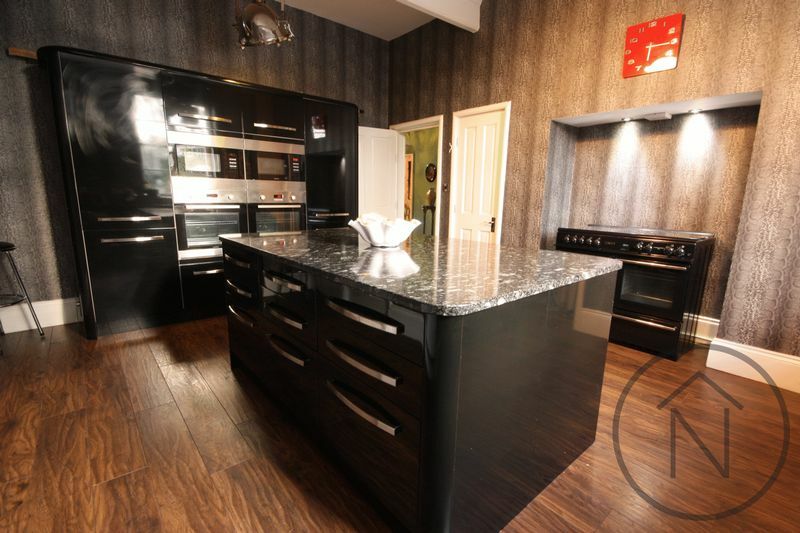 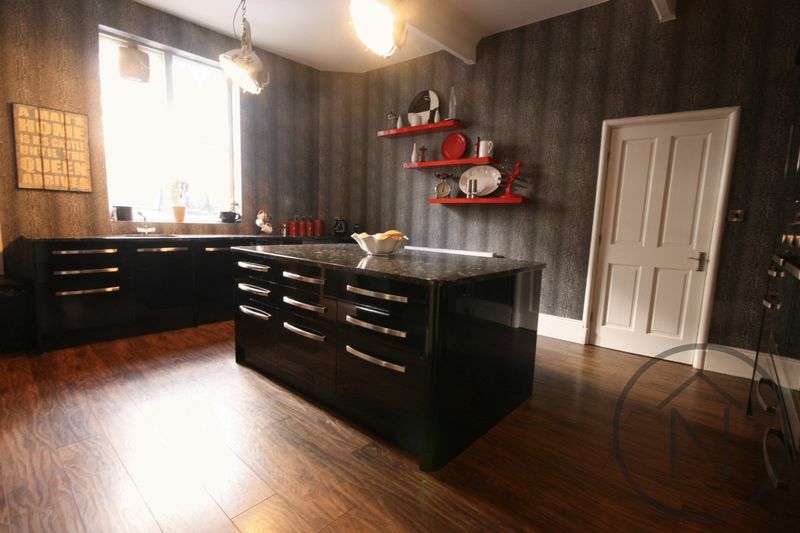 Heat resistant worktops, storage units, wood laminate flooring, window, radiator. 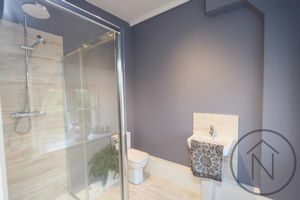 Low level WC, window, wood laminate flooring. 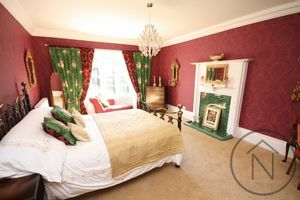 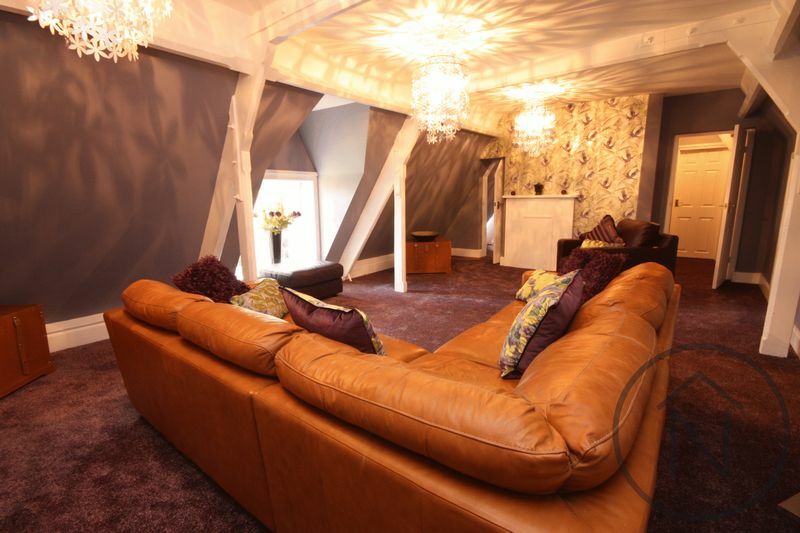 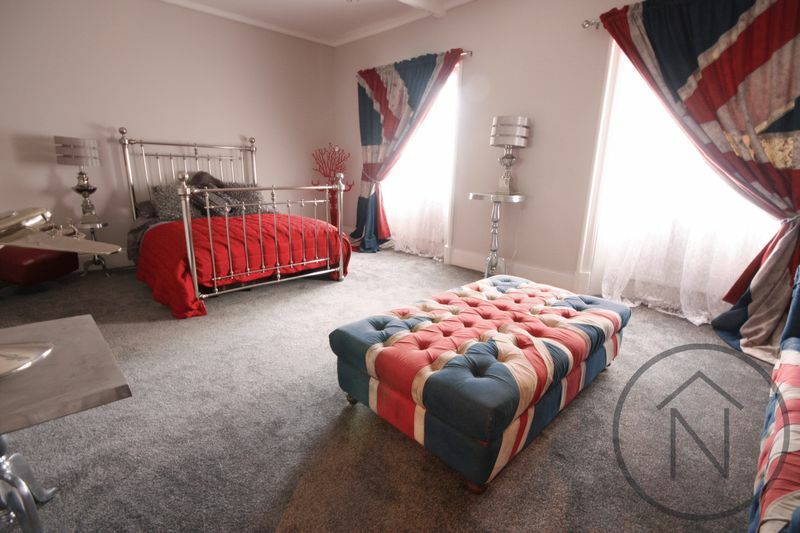 A fantastic room situated to the side elevation with views overlooking the garden. 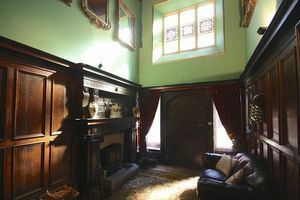 Feature fireplace which houses a cast iron log burner, timber sash window with wood panelled inset and window shutter, decorative plaster ceiling, and storage cupboard. Fantastic range of modern base and wall units finished in a polished black laminate, granite tops, stainless steel sink unit with mixer tap, cooking range with two eye level ovens, two further additional ovens, two integrated microwave ovens, fridge freezer, additional fridge, window, radiator, cupboard housing gas fired boiler, 2 large pantry style cupboards, central island housing comprehensive suite of the units and power points. Window to front, and feature fireplace. 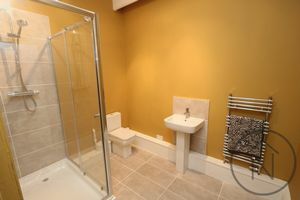 Double shower cubicle with mains shower, low level WC, wash hand basin set into modern white vanity unit, glazed tiling to all walls and likewise to the floor, radiator, inset spotlights to ceiling. 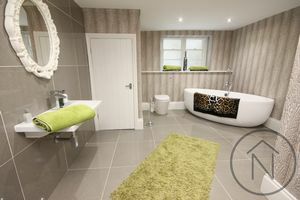 High quality suite with roll top bath, shower attachment, pedestal wash hand basin, low level WC, glazed tiling to the floor, window, coving, radiator. Stunning re-appointed four piece suite:- double walk in shower cubicle with mains shower and glass screen, wall mounted hand-wash basin, low level WC, free standing bath with shower attachment, storage cupboard, window, inset spotlights, ceramic tiled flooring. Low level WC, wash hand basin, wood laminate flooring. 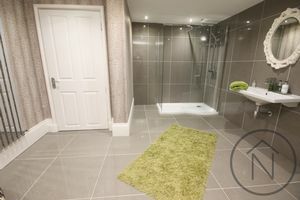 High quality suite:- roll top bath with shower attachment, heated towel rail, pedestal wash hand basin, low level WC, wood laminate flooring, storage cupboard, access to loft, window to front. 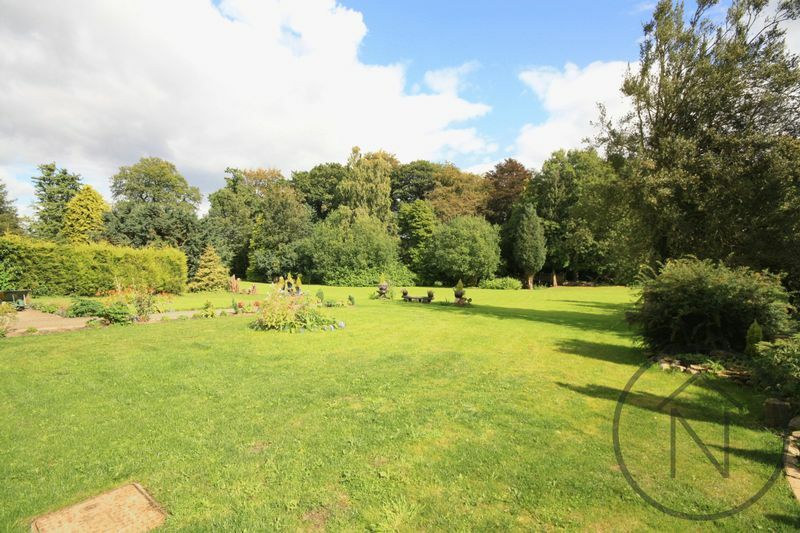 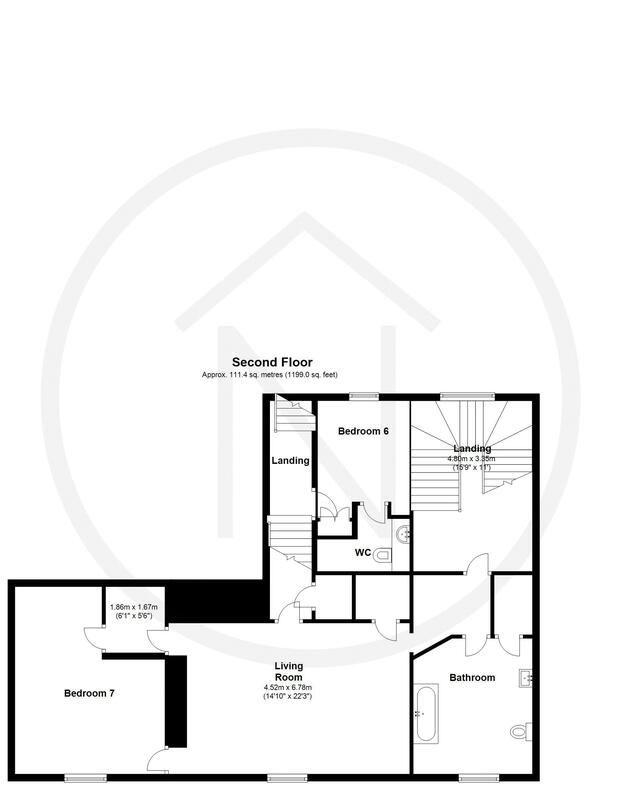 The land sits on approximate 2.2 acres which dates back to the 1500's. You access via a private wall enclosed driveway which does give neighbouring properties but is owned by The Grange and leads to large gravelled area which provides off road parking, currently under construction timber framed garage with log store. 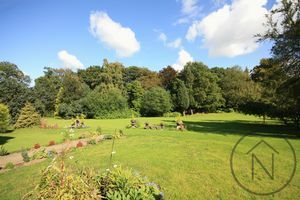 The gardens that sit to the front side and rear are extensive mature orchard gardens that are well maintained and planted with a wide variety of trees and shrubbery, large lawned areas, large pond and bridge.